I decided to focus on the 'wine in our hands' part of the quote to create this fun wine-themed birthday card. 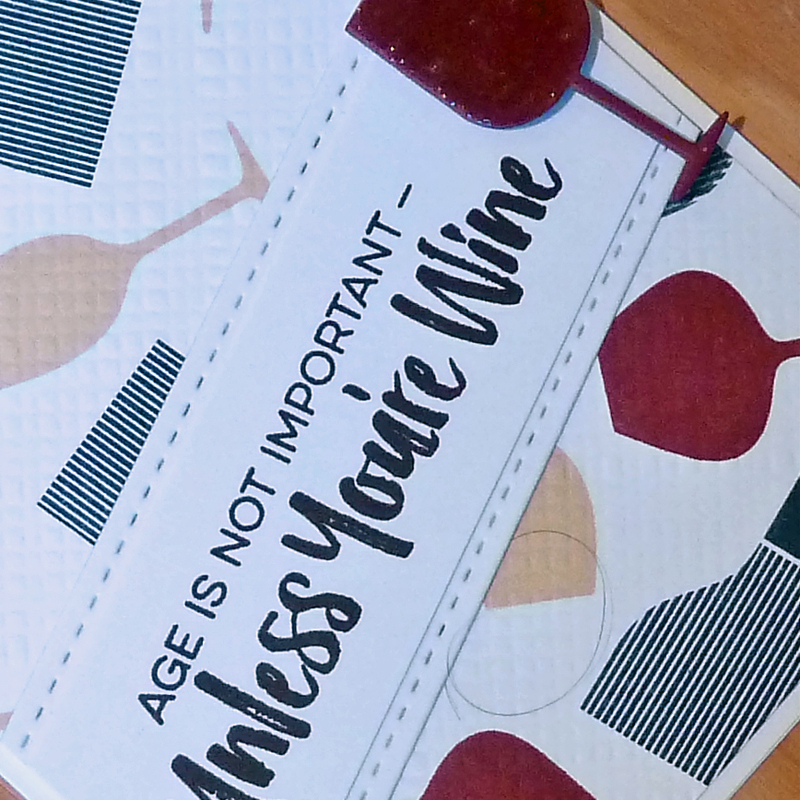 I combined stamps from PTI Uncorked, a die cut wine glass from Paper Smooches (and coated with Glossy Accents) and a sentiment from MFT Uncorked. 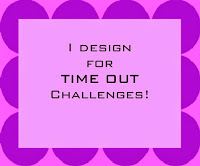 Please head over to Time Out to see more inspiration from our Design Team. Uniko is our sponsor for this challenge. Details for the prize are on the Time Out Challenge Blog. This is fun Joyce! I like all of the topsy turvy wine glasses! 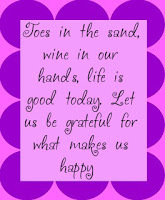 Love your take on the inspiration quote - I need to come over and share a glass with you! This is so fun and fabulous! Great combination of elements from different companies that go together so well. 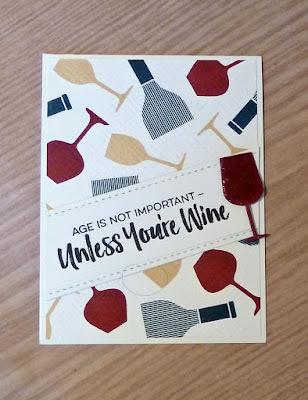 I would love to share a glass with you too! 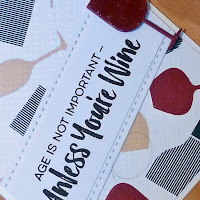 I love how you combined the different stamp sets to create this card - I have the MFT sentiment set too, and they are some of my favourites :) the way you added it on a slightly skewed large sentiment strip is perfect - love it!